So far, you may have already explored multiple Netflix genres to browse movie selections that match your taste i.e. Standup Comedy, Horror, Psychological thrillers, Action, Western classics etc. However, at some point you may have felt the need to dig even deeper. If so, you need to know about a few essential Netflix hacks, tricks and secret codes to unlock the full potential of Netflix to get your money’s worth. For a premium Netflix experience, you need to know and remember the following keyboard shortcuts to make your binging sessions a lot better. Pause/play at the same time. These shortcuts will make your life easy and enhance the Netflix streaming experience! 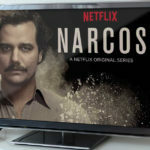 As an avid Netflix fan, you may already know that Netflix comes with geographic restrictions due to copyright laws and can only be unblocked via a Netflix VPN outside the USA. Before exploring the various trips, tricks and techniques, you must get a VPN that works best with Netflix. Ivacy is the best VPN for Netflix since it doesn’t just reliably unblock Netflix but also provides an ISP throttling free experience for seamless streaming. 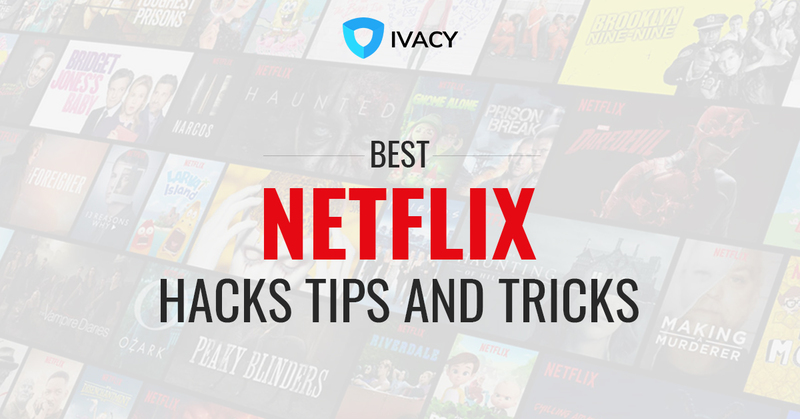 Get Ivacy for the best Netflix streaming experience while binge-watching your favorite content. Do you know Netflix’s secret codes to the many genres and subgenres? Netflix has different codes for the different genres it has. In fact, there are way more genres that can be accessed by browsing from the main page. This is because each genre and subgenre of Netflix has its own code. Once you add that code to the end of the URL string, you will come across a list of movies that fit into that category. However, it doesn’t stop there. There are many subgenres to genres that have been presented above. Here, “1701” is the code for “Music”, while “52843” is the code for the subgenre of “Kids Music”. 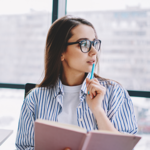 Even if you think that you know everything that there is to know about Netflix, you must understand there is more to Netflix than meets the eye. There is a good chance that you are still missing out on the best of Netflix despite knowing all the important Netflix hacks and secrets. Most Netflix users get too accustomed to the standard Netflix features being offered to them. Little do they know that, the whole Netflix experience can be personalized with a simple app! Super Netflix is a free extension that enhances your Netflix viewing experience to a great deal. It allows you to choose your own video streaming quality instead of letting Netflix do that. That’s not all, Super Netflix also has the ability to skip TV show intros, blur plot descriptions as well as image thumbnails so that you can evade spoilers. Moreover, you can upload your own subtitles if you don’t like the preloaded ones on Netflix. This add-on is only available for Chrome. You can get it here. Once you install Netflix enhancer from the Google Chrome store, a small N icon will begin appearing in the browser address bar whenever you are streaming on the Netflix site. Netflix enhancer serves as a combination of all the important tools that you could possibly need. From the Metacritic ratings to Rotten Tomato scores, to IMDb profiles. Moreover, if Netflix Enhancer is able to find a trailer for the selected movie, it will begin displaying a small white camera icon to watch it. Once you start using Netflix enhancer, you will be able to save a considerable amount of time by avoiding the crappy content. If you have gotten sick and tired of filtering through the same old suggestions on Netflix, having to scroll through innumerable rows boring you to death, this add on is just for you. Netflix Roulette enables you to escape the dreaded “Netflix recommended” titles. Basically, Netflix Roulette lets you choose from a variety of different criteria and hit the green “Spin” button, upon which a video gets automatically generated for you. You can even filter out movies on basis of their IMDB and Rotten Tomatoes scores, which would mean that you only watch movies that are highly rated. Netflix’s broad and vague categories may not always cut it, which is why you can use “The Bible” if you want to get more specific. “What’s on Netflix” contains an encyclopedia of more than 20,000 weird but interesting sub genre’s, accompanied with their ID codes that you can add at the end of the URL to go straight to the title. The Netflix bible extension can improve the default Netflix search to a great extent. Netflix currently lets you search only by title. However, with the bible extension you can search by the year of release, directors, genre and many other filters. So, if you have a favorite director or you want to watch the same actor time and again, Netflix Bible makes that happen for you! Never Ending Netflix is another great Netflix extension that enables you to automatically play the next episode, skip the title sequences, and search thousands of genres, all at the same time. How to control Netflix through a mobile phone? Controlling Netflix through your mobile devices is pretty simple, but it depends on the device you are using to watch Netflix content. Numerous connected devices will become visible. Select the one you want. Now you can, use the mobile device to play, pause, forward and rewind. Download and install the ControlPC app on your mobile device. As you are launching the app after installing it, a number will be displayed at the upper-status bar. Note that number. How to watch in Netflix in Ultra HD? Your TV meets the requirements to stream ultra HD i.e. a Sony TV compatible or a 4K Ultra HD media player that can support High Definition Netflix streaming. Once you have done so, you can use the Netflix search feature, by simply typing “4K” in the search window in order to locate 4K content and select from the appearing titles. How to disable dubbing on foreign language movies? Select a movie or TV show dubbed in English by selecting “Video to Watch”. This will enable you to revert to the original content. How to customize subtitles on Netflix? If you are facing viewing difficulty due to the default appearance of subtitles on Netflix, you can easily customize the appearance of subtitles on Netflix to make them easier to read. You can change the color of the subtitles by clicking on the color box next to the ‘Font’ drop-down and select a color included in one of the presets. For enabling a solid color background for the subtitles, you can click inside the ‘Background’ color box. 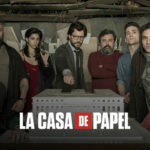 How to download movies and shows to watch later? Firstly, you will need to choose the download quality you need. Netflix offers two quality levels i.e. Standard and High, the latter being HD i.e. between 720 and 1080 resolution. To choose, select the menu icon on the left side and scroll down to the App settings. You can select the preferred quality by tapping “Video Quality” once there. Not all Netflix titles can be downloaded but you can find the ones you can, in the “Available for Download” section. You can find this section by tapping the menu button in the upper left corner – the first option located below the Home section. To begin downloading, select the Download icon appearing alongside the movie or TV show you want to watch. Once you have downloaded, all offline content will be appearing in the My Downloads section, which you can find by selecting the menu button in the app’s upper left corner. How to host a Netflix watch party? If you want your friends to accompany you during your next binge-watching session, “Netflix party” is a Chrome extension that makes it possible for you to invite your friends to watch any Netflix video with you, considering that they also have a Netflix subscription. Copy the URL on the next screen and send it to the friends you want to invite. They must have the same extension and paste the link in their browser. The party will begin now. You can click on the “NP” logo anytime to exit. How to skip all intros? If you are getting tired of having to manually skip the “Intro” button when watching Netflix in Chrome, you can use the “Super Netflix” extension to solve this problem for good. On the settings screen, scroll down to the section “Automatically Skip Intro” and click on the “Pull Down” menu. That’s just about it. Now when you are streaming Netflix and an Intro appears out of nowhere, it will be skipped automatically! How to set up parental controls on Netflix? Netflix hosts myriad of content belonging to different categories and topics, not all of whom is suitable to be viewed by kids of young ages, considering it can be sexually explicit or have portrayals of graphic violence – content themes that can prove to be harmful to little children. Therefore, you can set parental controls on Netflix if your account is also being used by your children and you don’t want them being exposed to inappropriate movies or TV shows. Click on “Manage Profiles”. This will keep you on the page but make the profiles visible to you, which means that you can edit their settings. Now, choose the profile you want to manage and click on the icon over it to enter the settings for it. Once you are done, tap Save.